We wish to honour and remember our Huron County fallen by making known the story behind each name etched on Huron County's community cenotaph monuments. We have conducted research to compile biographical information on our Huron County fallen, including World War Two, World War One and other conflicts. We continue to expand this content by reaching out to the families of our fallen and publish this information in accessible ways, including online content, community awareness and a local school outreach. The Huron Remembers project is the offspring of prior work done by the “Dutch-Canadians Remember As One Committee”. 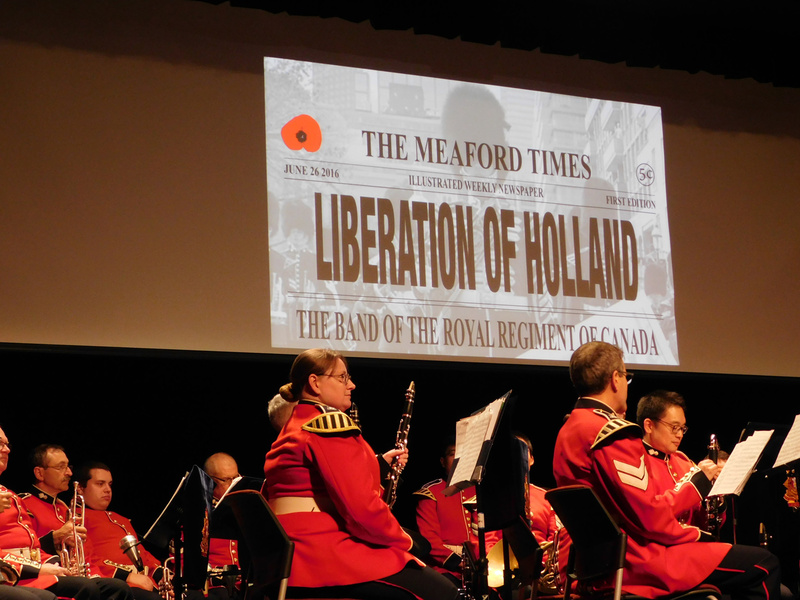 This committee was formed after local Goderich businesseman, Sid Bruinsma and local author, Jim Rutledge returned from the Liberation of the Netherlands 70th Anniversary celebration in May 2015. 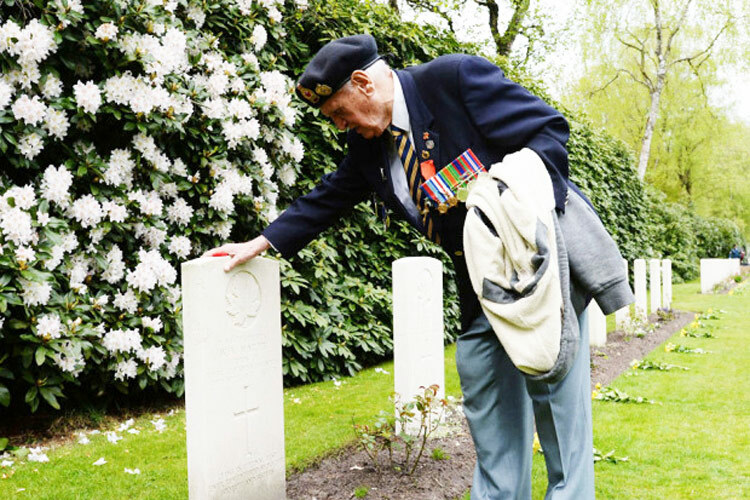 Both men were impacted by the warmth and the expressions of continued friendship between the people of The Netherlands and their Canadian visitors. Of particular note was the awareness and gratitude expressed by Dutch school children toward Canadians for the liberation of their country by the 1st Canadian Army in 1944-45. They wondered could we do a better job here in Canada of honouring and remembering our fallen? This thought inspired a visit to a local website development company to do something unique online to attract support in the Hague for a visit to Goderich by H.R.H. 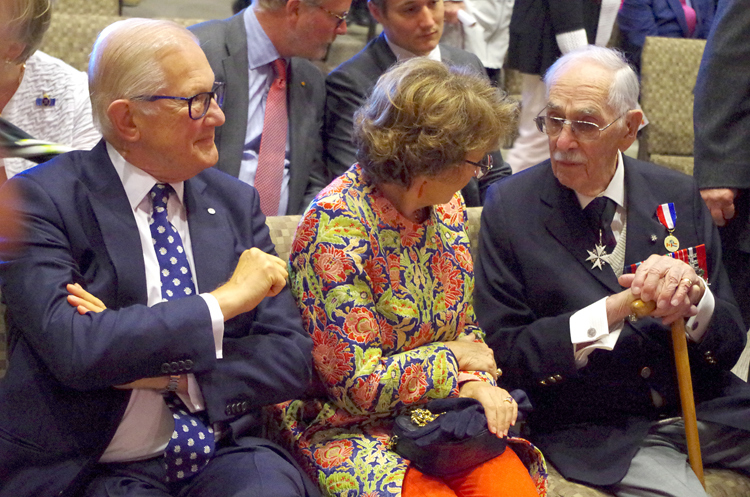 Princess Margriet of the Netherlands. Sid and Jim met with company owner Patrick Nagle, who had served in the Canadian Army in his younger days, and from a prior career serving on the Hill in Ottawa, had a few useful connections to help bring together interested parties. 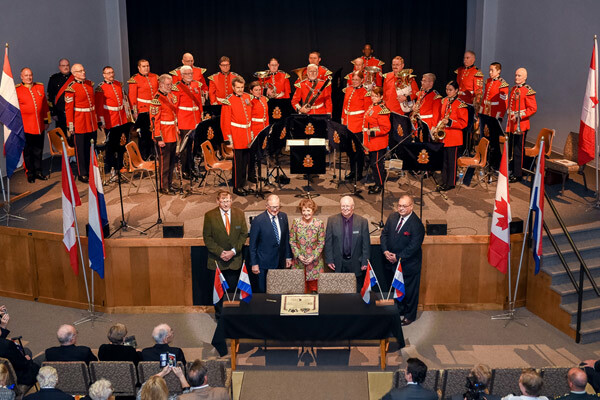 In May of 2017, H.R.H Princess Margriet of the Netherlands came to Huron County in a memorable visit organized by the Dutch-Canadians Remember as One committee. 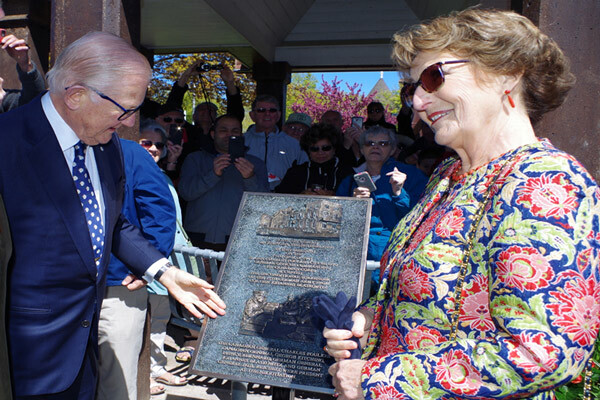 The Princess unveiled a plaque at Liberation Memorial Park in Goderich to thank Canada for its sacrifice in liberating the Netherlands in 1944-45. 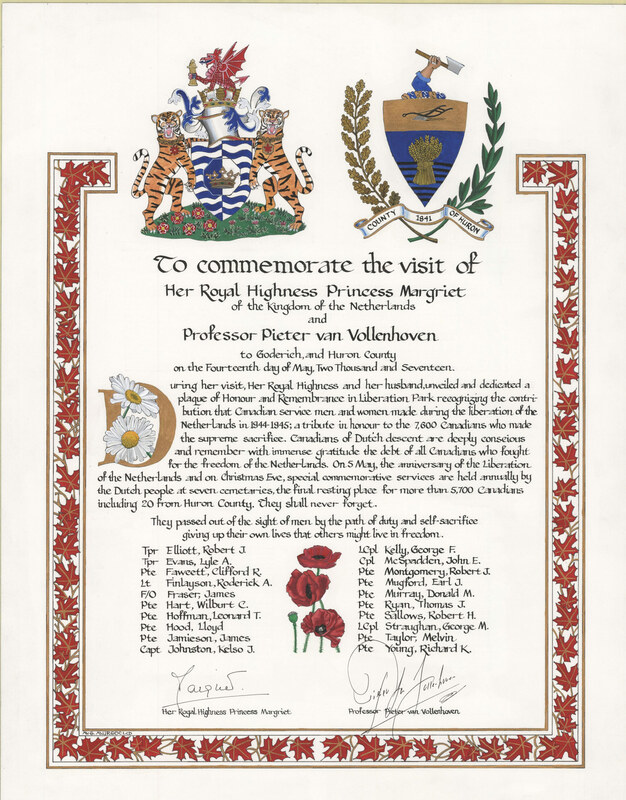 She also signed a scroll of original heraldic artwork that honours the 20 Huron County fallen, who gave their lives during the campaign to liberate the Netherlands. 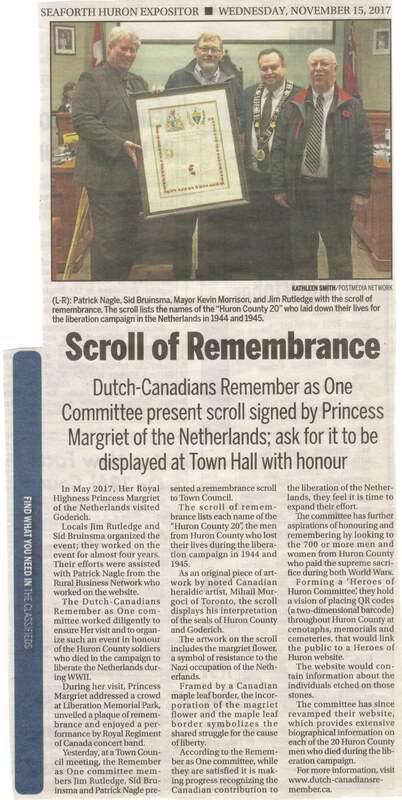 This scroll is now displayed in a place of honour at Goderich Town Hall. A website was built to make known the personal biographies of each of the "Huron County 20" fallen. 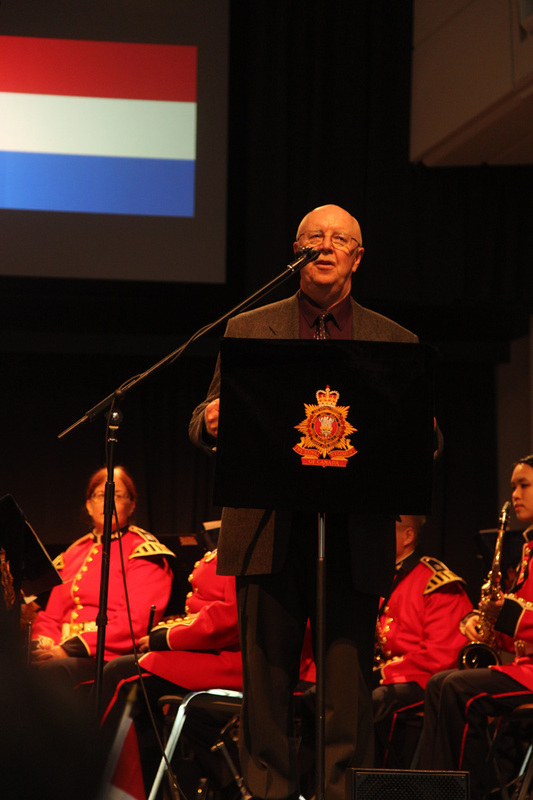 A reception was hosted for their families which was then followed by a Liberation concert performed by the famous Royal Regiment of Canada concert band. These men were truly honoured and remembered. We are happy to say the project legacy continues as thousands of website pages are served to visitors around the world come to the website searching for the story behind Canada's sacrifice. It is this past success that encourages us to think about the other Huron County fallen - 716 in total. Could their memories be kept alive by building a website that told their stories? Some committee members decided to use their experience and expertise to birth a new a new group we call the “Huron Remembers” committee. The founding members of this committee include local historian and author, Jim Rutledge, Jeanette Elliott - co-author in a new book publication on Huron County's World War One sacrifices, and local publisher, Patrick Nagle of RBN. The committee is expanding to include representatives in each Huron County community who will be vital resources in local outreach. 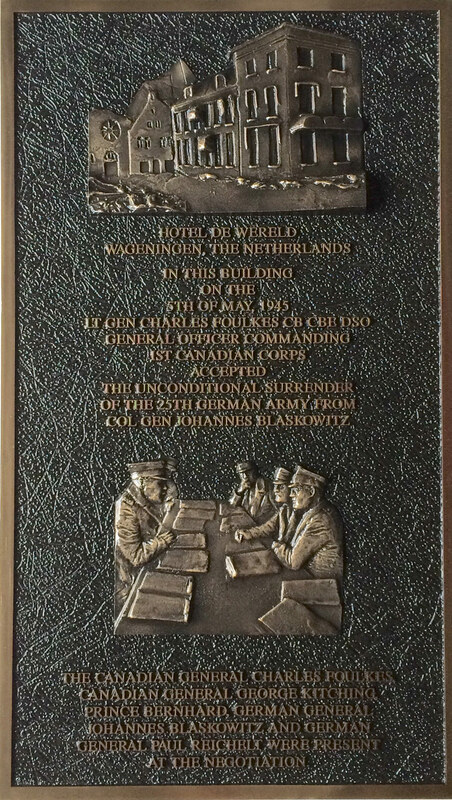 More information on the Dutch-Canadians Remember As One project can be found at www.dutch-canadiansremember.ca . A cenotaph component that provides website access by means of a QR code displayed at each local cenotaph which is linked to specific biographical information. We foresee a day when people will be able to visit any cenotaph in Huron County, and then learn the story for each name etched on the cenotaph stone. 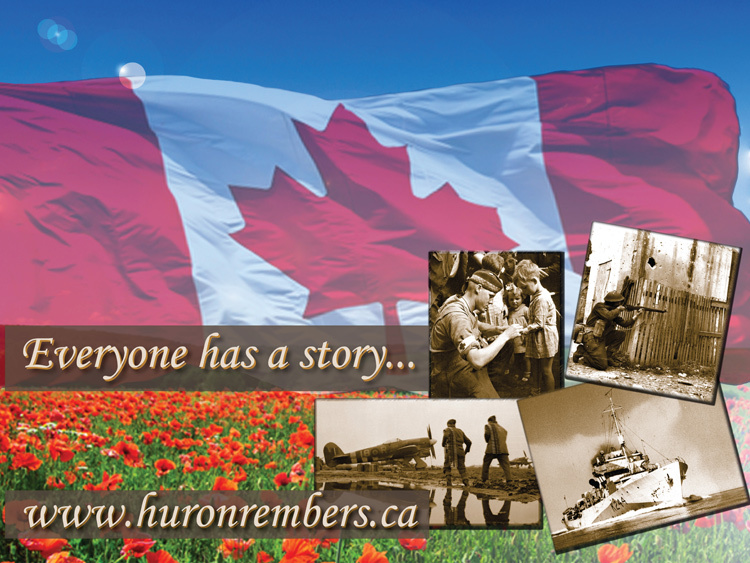 The huronremembers.ca website will provide context and understanding of Canada's contribution to the cause of freedom. It will also help educate and engage our younger generation of the cost of freedom. 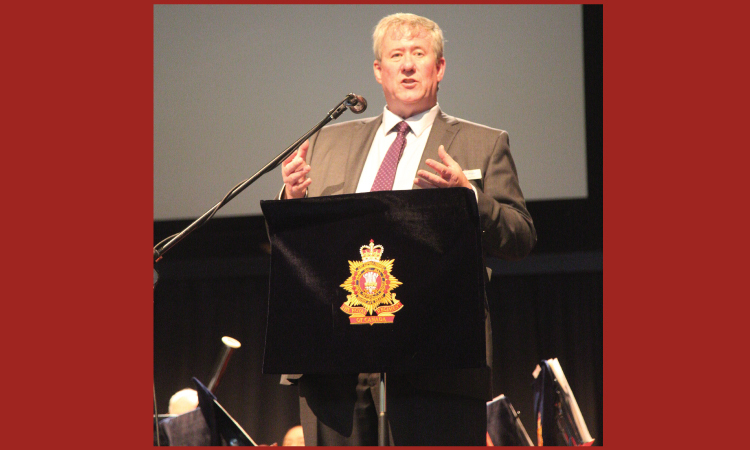 We wish to promote further youth outreach by providing speakers to Remembrance Day school programs - to promote the awareness of Huron County's role in the defense of freedom. 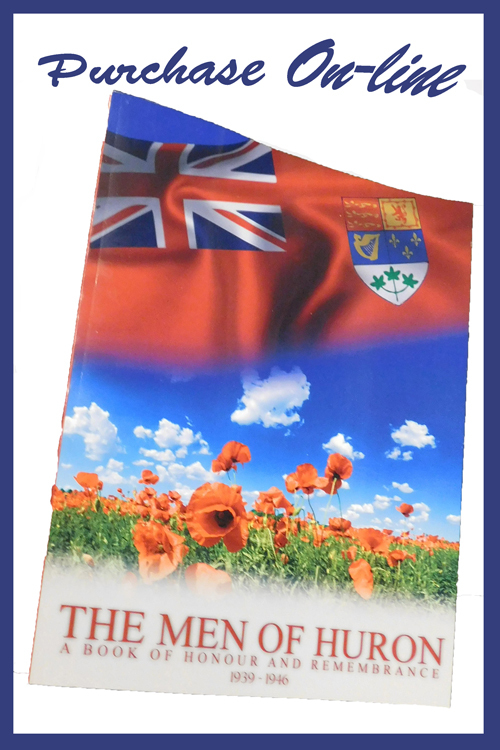 We are assisting local author, Jim Rutledge in his 2009 work "The Men of Huron", by raising funds to publish and distribute more copies of the book. We wish to distribute the book to be available in every library, school, legion or other place where the content would be valued. We are working to publish another book "Heroes of Huron", co-authored by Jim Rutledge and Jeanette Elliott, which details the biographical story of Huron County's World War One fallen. As with the earlier work, we intend to widely distribute this new book. The Huron Remembers project is one which will continue to unfold as awareness grows. We are inviting families of our Huron County fallen to contact us to share your family memorabillia, pictures and stories for website publication.